Battle of Ontario Setting Up To Be a Game of Keep Away - The Point Data-driven hockey storytelling that gets right to the point. 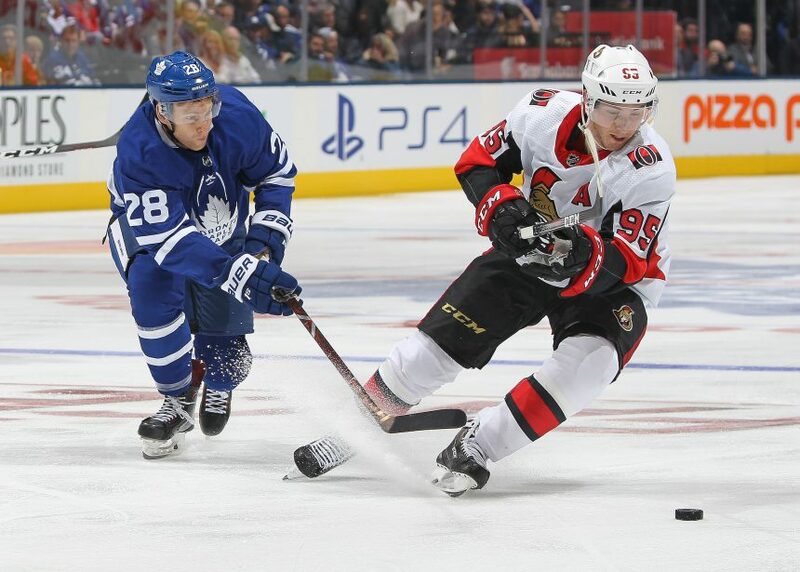 The Battle of Ontario resumes tonight in what, on paper, appears to be a lopsided affair between the Toronto Maple Leafs and the Ottawa Senators. These two teams are headed in completely opposite directions and tonight there’s a good chance we’ll see that play out on the ice. This year the Sens have been a turnover machine, coughing up the second most turnovers per game at even-strength. That’s a recipe for disaster against an offensive juggernaut like the Leafs. Those numbers tilt the ice heavily in favor of the Leafs who will be looking to control the puck all night. The Leafs have been a dominant possession team in the offensive zone since December 1st, the Sens spend a ton of time defending in-zone. Toronto can hurt you with their cycle and forecheck, Ottawa can’t stop teams in those areas. 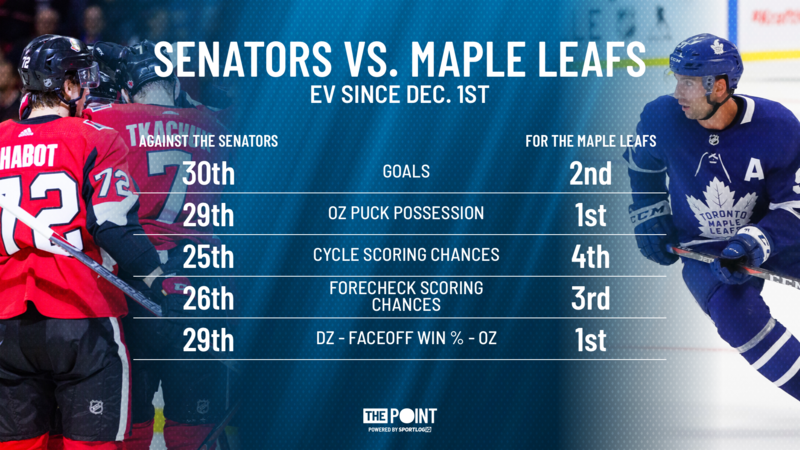 The Leafs win a ton of offensive zone draws, the Sens lose a bunch in their end. Moral of the story – this is the biggest possession mismatch, on paper, in the league right now so expect a majority of the game to be played in Ottawa’s end. The Leafs have been known to play down to the level of their opponents at times this year but odds are, the Leafs will come out on top in a high scoring game.